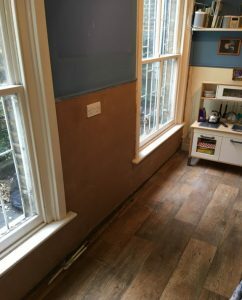 Kenwood was called to a mid-terrace house in East London following concerns over dampness affecting the rear of the home. 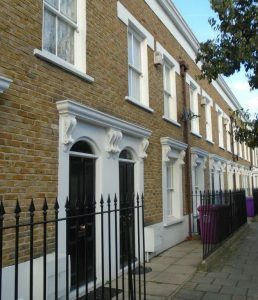 Kenwood carried out a free survey and the owner subsequently instructed the works to commence. Treatment required the removal of the wall plaster, the injection of a chemical damp proof course and the waterproof replastering of walls. The walls have now been skim finished to provide a smooth surface ready for redecoration in around a month, our Twenty year guarantee for the treatment gives peace of mind to our clients for the future.